In honor of its 25th anniversary, Quark Expeditions®, the world's leading polar travel company has introduced the Explorers’ Collection, an assortment of extraordinary expedition experiences for today’s adventure traveler. A specially curated portfolio of unique adventures, the trips in the Explorers’ Collection showcase Quark’s pioneering pedigree in expedition travel and offer unparalleled access to remote destinations, featuring unique modes of travel and one-of-a-kind accommodation. 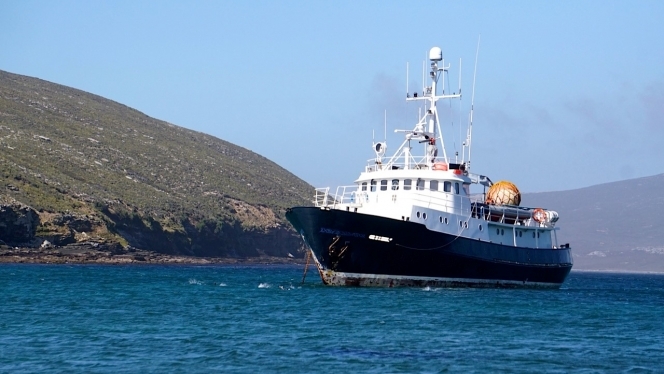 Bespoke Falkland Islands and Antarctica aboard Small Exploration Boat Hans Hansson – For those interested in intimate, off the beaten path adventures, the 12-passenger Hans Hansson itineraries are ideal. Choose from a Falkland Islands circumnavigation, or a fly/cruise to the most remote coves and inlets of Antarctica to explore remote, rarely-visited areas of the world with two landings each day and longer, flexible onshore explorations. Galapagos Islands aboard Small Expedition Ship Evolution – Explore the legendary Galapagos Islands and interact with sea lions, turtles and other marine life as you sea kayak, snorkel, swim or Zodiac cruise from calm waters, or hike and explore from land. Passengers will discover the diversity of life on the inner islands, as well as from the less traveled, more remote outer islands. Itineraries can also be booked with an Antarctic itinerary, for an epic Equator to Pole adventure. North Pole Express: Barneo Ice Camp – This 3-day expedition features an overnight at this unique fly-in basecamp and temporary Russian scientific station. Passengers spend time in the camp as the scientists and explorers do, and board a helicopter to 90 degrees north for a champagne toast. Arctic Icebreaker Expedition: Arctic Circumnavigation – On board the legendary icebreaker Kapitan Khlebnikov, this circumnavigation travels the legendary Northwest and Northeast Passage, the Canadian High Arctic and Greenland, as passengers experience wildlife, wild lands, and the spectacular beauty of the North. North Pole: The Ultimate Adventure – Board the most powerful icebreaker in the world, 50 Years of Victory, as it crushes through thick pack ice en route to the North Pole. Enjoy aerial helicopter views, search for polar bears on the sea ice, and visit remote Franz Joseph Land. Arctic Watch Wilderness Lodge – At Canada’s northernmost wilderness lodge, guests can witness hundreds of beluga whales, explore the tundra, and take advantage of included adventure activities such as kayaking.